How many calories in Oyster? We provide you with the Oyster calories for the different serving sizes, Oyster nutrition facts and the health benefits of Oysters to help you lose weight and eat a healthy diet. Like other shellfish, Oysters are molluscs. There are many varieties of Oysters, but only a few can be consumed. Oysters can be eaten raw or cooked, it’s down to what you prefer, but they contain more vitamins and minerals if eaten raw. Oysters are loaded with zinc, iron, and vitamin B12. They are also a good source of vitamins A, B1-B3, B5, B6, calcium, phosphorus, potassium, copper, manganese and selenium, as well as other vitamins and minerals. Oysters contain omega-3 fatty acids. They are thought to be great for boosting our immune system. 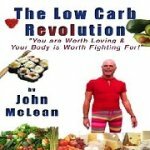 They are low in both calories and fat, and therefore beneficial to losing weight. Other Oyster benefits are believed to include a reduced risk of cardiovascular disease. 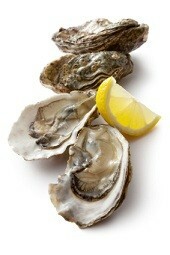 Zinc is thought to help boost our testosterone, hence the considered view that Oysters are an aphrodisiac. Compare calories in Oyster with the other calories in seafood.